Progressive Keyboard for Little Kids - Book 1 contains all you need to know to start teaching kids to play keyboard - in one easy-to-follow, lesson-by-lesson children's keyboard tutorial. Suitable for children aged 4 to 8 years and all types of keyboards and pianos. 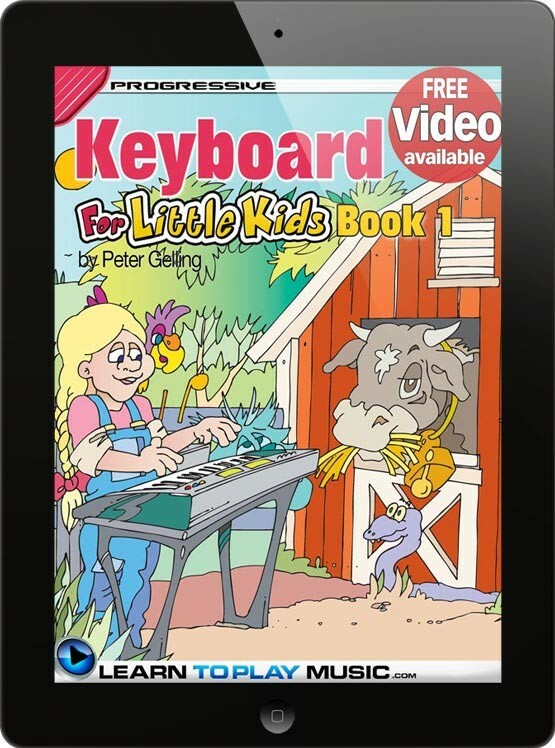 No prior knowledge of how to read music or playing the keyboard is required to teach a child to learn to play keyboard from this book.